Sharmin Ali, RN, BSN, MSN, FNP-C graduated with honors and was inducted into Sigma Thea Tau Honors Society in 2013 with a Bachelors of Science in Nursing. Her focus had been on caring for patients with conditions such as stroke and chest pain for 4 years at Houston Methodist Hospital-Sugar Land. Later on, her interests in patient education led her to pursue a career as a Family Nurse Practitioner by graduating from the University of Texas-Arlington. Sharmin is a national board certified Family Nurse Practitioner by the American Association of Nurse Practitioners (AANP) and currently licensed to practice in California. 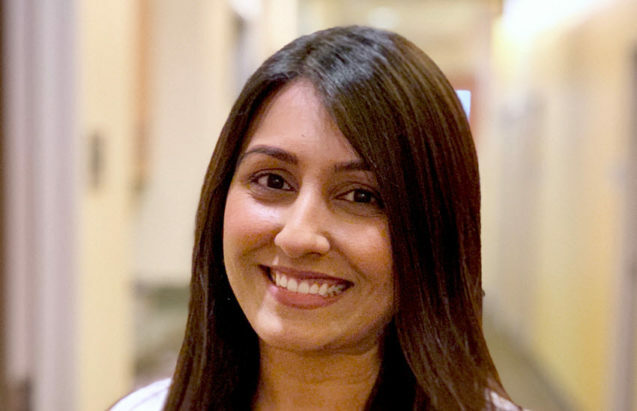 While patient education is an essential component in the care of acute or chronic pain patients, Sharmin believes patients who are well-informed about their condition are likely to have better outcomes. With current evidence-based practices here at IPM, she is able to provide individualized care to patients by focusing on teaching her patients about medication side effects, their condition, and available treatment options that best fit the patients’ needs. Her goal is to help patients make informed decisions regarding their health. Outside of work, Sharmin enjoys spending time and visiting new restaurants in Northern California with her husband on the weekends. She occasional likes to visit her family in Sugar Land, Texas where she originally grew up. In her free time, her interests include arts and crafts, painting, shopping, and going to the gym with her husband.